The most compact line on the market! Safety Energy: the best efficiency in the market. Do not interfere with FM: To minimize unwanted interference to the FM, distribute the speaker cables as far as possible from the radio antenna cable, if you use an internal antenna, it must be grounded to the vehicle’s chassis. The new IR 400.4 features 4 channels of 100W rms each and great installation versatility. 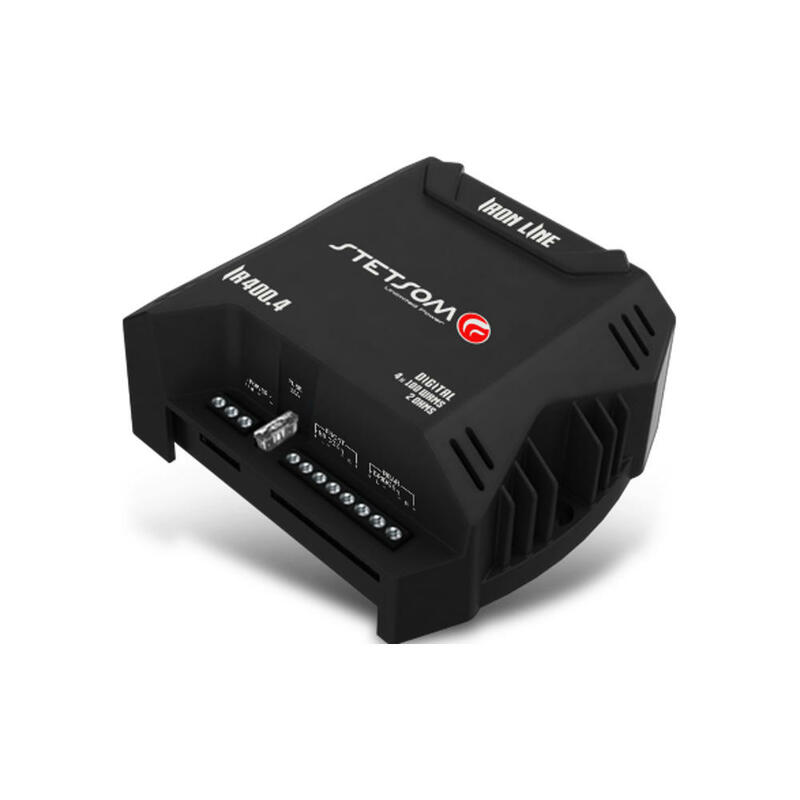 Following the standard of the IRON line, the IR 400.4 is very compact and can be installed even in less conventional locations. With high efficiency and low consumption the IR 400.4 allows the user to play the sound for much longer without losing quality or sound definition.